A fuller picture of the legal industry’s gender pay gap issue is emerging as Addleshaw Goddard, Mishcon de Reya and Gowling WLG become the latest firms to reveal big earnings disparities. Gender pay brackets at Addleshaw – published Tuesday (13 March) ahead of the 4 April deadline required by legislation brought in last year – reveal the firm paid its male staff on average 43.2% more in bonuses than women for the year to 5 April 2017. The median bonus figure was 33.3%. Female employees were paid on average 23.8% less per hour than men, although again the median figure was lower at 16.4%. In line with the reasons touted by other firms, Addleshaw pointed to a higher proportion of females being employed in junior and administrative roles, such as secretarial services where its PA population is 98% female, and fewer women in senior roles as the reason for the discrepancy between pay and bonus gaps. Human resources director Niki Lawson said this meant the firm’s pay gap was not an equal pay issue. Lawson said the firm was working to close the gap through a number of initiatives, including unconscious bias training and programmes it has introduced in recent years. Its female leadership programme Flourish began in 2012, after which nearly a third of partner promotions have been female, pushing overall representation in the UK partnership to 26% from 20%. The firm is targeting 30% female partnership by 2020. Meanwhile, Mishcon pays men 42% more than women on average in bonuses, rising to 51% as a median figure. For hourly pay, men are paid 17% more on average, rising to 37% for the median figure. Gowling WLG also published its numbers on its website recently. They reveal that the firm’s hourly pay is 25% higher for men on both a median and average basis, while bonuses are 64% higher for men on average, and 49% higher on a median basis. Again, the firm blames having proportionally more females in support roles than its lawyer population for the pay gap. Regarding the bonus disparity, the firm said it has three bonus schemes but there is a higher proportion of females in the firm-wide scheme than in the director and fee-earner bonus schemes. The firm has a gender target of 30% female partnership by 2026. 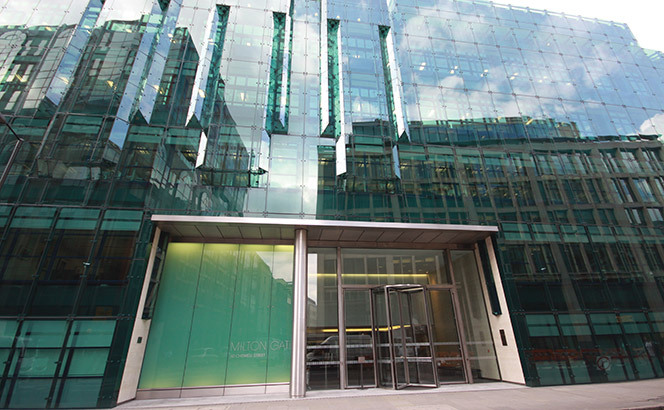 These numbers follow magic circle firm Allen & Overy, revealing on Monday (12 March) it paid its male staff on average more than 42% in bonuses than women, with the median bonus figure standing at 23%. The firm’s female employees were paid on average 19.8% less per hour than their male counterparts, a gap which widened to 27.4% when the median figure was calculated. Other firms to report include Linklaters, which last month revealed that it paid its male staff members nearly 60% more in bonuses than women. Taylor Wessing, Bird & Bird, Pinsent Masons and CMS have also reported their pay gaps. DLA Piper and Addleshaw Goddard have won roles advising on the sale of part of recently-collapsed Carillion’s business while Watson Farley & Williams (WFW), Allen & Overy (A&O), Weil, Gotshal & Manges, Paul Hastings and Kirkland & Ellis all picked up major deals this week. Addleshaw Goddard advised engineering and construction company J Murphy & Sons on its acquisition of Carillion’s UK power framework business for an undisclosed sum. The deal sees Murphy take Carillion’s position on National Grid’s electricity overhead lines, substation and underground cable framework contracts, supporting replacement and refurbishment schemes on transmission networks across England and Wales. Murphy, a private infrastructure company which employs more than 3,000 engineers, will also take on 22 former Carillion employees as part of the transaction. 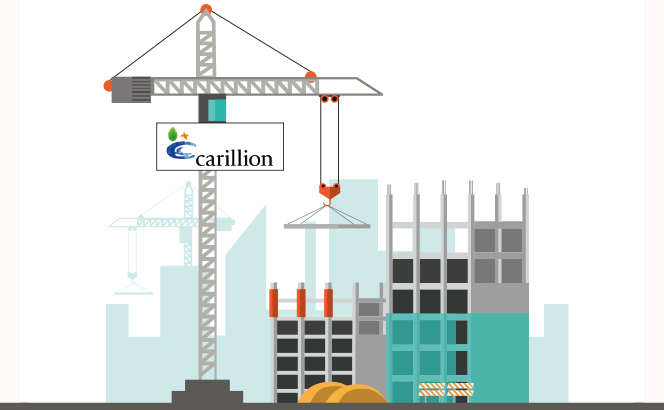 The acquisition follows Carillion’s liquidation in January after talks between the Wolverhampton-headquartered company, its creditors and the government failed to reach a deal on its £1.5bn liabilities, including £900m in debt. The Addleshaw Goddard team was led by Manchester-based corporate partner Shelley McGivern. She declined to comment further. DLA Piper, meanwhile, acted for the Official Receiver for Carillion. The firm declined to comment further or name who led from its side. Dentons’ restructuring partners Nigel Barnett and Neil Griffiths have also been advising the liquidator since Carillion’s collapse. Meanwhile, a cluster of firms won advisory roles on Blackburn-based petrol store retailer EG Group’s purchase of Kroger’s convenience store business for $2.15bn. As a result of the acquisition, which is expected to close in the first quarter of Kroger’s fiscal year, EG Group will establish a North American headquarters in Cincinnati, the city where Kroger was founded. Magic Circle firm A&O is the main legal adviser to EG Group, with a team consisting of partners William Schwitter and Jeffrey Pellegrino. US outfit Kirkland & Ellis also acted for EG Group on financing aspects of the deal, led by partner Neel Sachdev. Weil provided legal support to Kroger, with a team headed by New York corporate partner Michael Aiello. He was supported by fellow corporate partner Matthew Gilroy, technology partner Michael Epstein, tax partner Kenneth Heitner, executive compensation and benefits partner Paul Wessel, real estate partner Philip Rosen, antitrust partner Jeffrey Perry and environmental partner Annemargaret Connolly. Paul Hastings advised EG Group on real estate due diligence for the transaction, with a team led by real estate partner Robert Keane alongside corporate partner Robert Miller. Energy and transport specialist WFW has racked up two significant real estate deals for a combined value of over £860m, after advising longstanding client Frasers Group on its £174.6m acquisition of Farnborough Business Park as well as its £686m buyout of a portfolio of four other UK business parks. The Farnborough Business Park acquisition was a joint venture between Frasers Centrepoint and Frasers Commercial Trust. The park comprises of 14 commercial buildings and has a net lettable area of 555,000 sq. ft. The portfolio buyout included parks in Reading, Basingstoke, Camberley and Glasgow. Gowling WLG advised Farnborough Business Park on the sale, while Gibson Dunn & Crutcher represented the seller of the four-park portfolio. Also acting on the acquisitions for WFW was corporate partner Dearbhla Quigley, tax partner Tom Jarvis, real estate partners Simon Folley and Hetan Ganatra and planning and environment partner Nick Walker. However, the firm insists it is performing well and growing on an underlying basis, both domestically and internationally, as it invests in new teams and infrastructure and looks to pick up on an encouraging start to this year. The firm’s LLP accounts to 30 April 2017 revealed its highest-paid partner received £776,160, down from £1.21m the year before. This as turnover fell 4% to $188.2m, and operating profit dropped 14% to £64m. In a statement, Addleshaws said its fee income for the period was in fact £10m higher at £198m, a difference a spokesperson attributed to associated entities, such as international offices, which sit outside of the group and are not consolidated with the UK numbers. The spokesperson added that on an underlying basis, Addleshaws’ income grew 2%, because last year’s figure included ‘an element of uplift due to non-recurring success fee income’. This is understood to relate to a settlement involving the late Boris Berezovsky , a case relating to previous years and worth about £5m-10m. Profit available for distribution among partners fell to £25.7m, from £38.3m, while the average number of partners increased by five to 171. Again, the firm said that on an underlying basis, profit per point grew by 4%. The firm said that this figure took out the aforementioned one-off income gain, and that new clients, more profitable work, and ‘careful financial management’ delivered the uplift. Addleshaws closed the year with £21.9m in cash, down from its strongest-ever cash position of £25.7m last year, but that had come on the back of an increase in over £20m that year. The average number of employees, excluding partners, rose 43 to 1202, as staff costs rose to £69.7m from £64.6m. 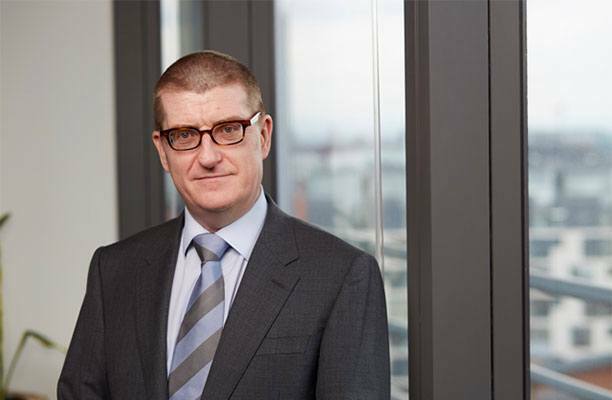 Addleshaws has added new offices in Scotland through its combination with HBJ Gateley but as this occurred in June last year, the accounts have not incorporated that merger. Key management personnel, including managing partner John Joyce, members of the executive committee and directors of AG services, received £3.1m, the same as last year. Earlier this year, Legal Business ventured north of the border to highlight the community of commercial counsel flourishing in Scotland in an extended feature. 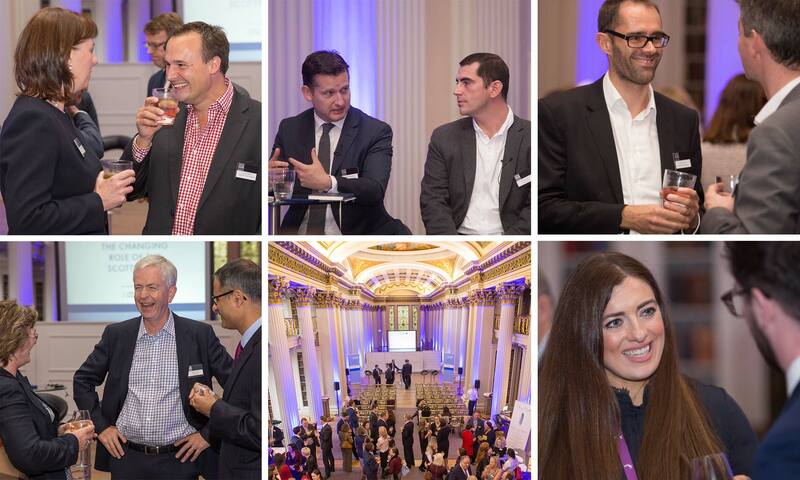 To follow up, this autumn we teamed up with Addleshaw Goddard to gather a panel of senior general counsel (GCs) at Edinburgh’s Signet Library in Parliament Square to debate a range of related issues to an audience of over 60 in-house counsel. With Brexit on the agenda, a changing legal profession and Scotland’s economy striving to reinvent itself for an increasingly-globalised age, there was plenty to talk about. Alex Novarese, Legal Business: In recent years, the Scots economy has tracked a little behind the UK. How confident are people feeling now in a turbulent time for business? Addleshaw Goddard and Ashurst are acting as gaming and betting company GVC Holdings launches a proposed £3.9bn takeover of rival Ladbrokes Coral. The proposed deal, announced today (7 December), would create a global online gambling group that the boards of the two companies claim would have strong growth prospects and an enhanced position in some of the world’s largest regulated online gaming markets, including the UK, Italy and Australia. GVC, which also owned the Sportingbet and Bwin brands, would own 53.5% of the combined business and has until early January to make a firm offer. Addleshaws is representing existing client GVC on the deal, led by corporate partner Nick Pearey, while Ashurst is advising Ladbrokes on another significant transaction, led by corporate partners Simon Beddow, Tom Mercer and James Fletcher. Competition partner Ross Mackenzie and tax partner Alex Cox are also advising. Jones Day is advising Houlihan Lokey as financial adviser to GVC, with team led by Leon Ferera. Addleshaws previously acted for GVC in its £1.1bn contested takeover of gambling company Bwin, which was completed in 2016, as well as its £485m takeover of Sportingbet in 2013.It also advised GVC on its transfer to a premium listing last year. Ashurst, meanwhile, previously advised Gala Coral on its £2.3bn merger with Ladbrokes in 2015. 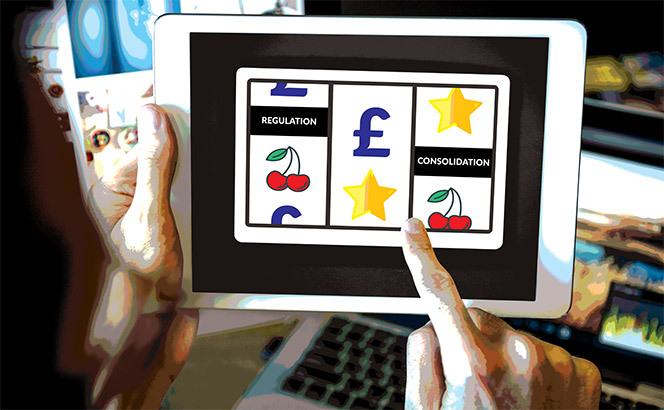 Gaming and betting has been a lucrative sector for law firms in recent years after a spate of consolidation, including a £5bn tie-up between Paddy Power and Betfair in 2015. Then last year, William Hill rejected a £3.6bn takeover bid from Rank Group and 888 Holdings, after 888 had failed in its bid to take over Bwin in mid-2015 for £898m. UK supermarket and retailer Sainsbury’s Group has appointed eleven firms to its new legal panel, including Linklaters, Addleshaw Goddard, Dentonsand CMS Cameron McKenna Nabarro Oslwang. The other firms on the roster are TLT, Cleaver Fulton Rankin, Lewis Silkin, Winckworth Sherwood, BLM, Mason Hayes Curran and Shepherd & Wedderburn. The panel, which was last reviewed in 2014, previously included Bond Dickinson, Croner, King & Wood Mallesons, DWF and Gowling WLG. The legal panel, known internally as the ‘Sainsbury’s Legal Community’, will cover jurisdictions in England, Wales, Northern Ireland, Scotland and the Republic of Ireland – which is a new jurisdiction following the Group’s acquisition of Argos. The panel is typically reviewed every three years. He said the firms were chosen to ensure that the Sainsbury’s Group obtained the legal support for the range of markets and jurisdictions in which it now operated. Grant created the Sainsbury’s Legal Community in 2011, which involves multiple firms collaborating to provide advice. The change allowed the in-house team to present its objectives more openly and let firms that are stronger in certain areas collaborate to produce better advice. Recent completed panels include HSBC, which appointed around ten firms to its UK legal banking panel. 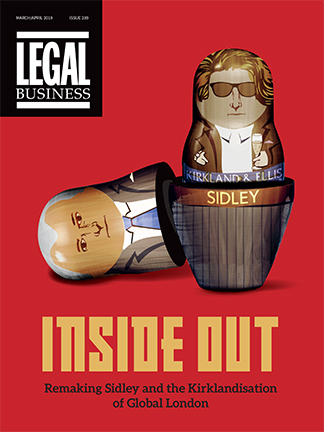 Addleshaw Goddard, Eversheds Sutherland and Simmons & Simmons were among those which made the cut. CMS, Dentons and Pinsent Masons are also among the roster which was reduced in size. UK firm Addleshaw Goddard has reported £198m in revenue for 2016/17, a 2% fall from the figure announced last year. However, while the figure represents a drop on 2015/16’s reported revenues of £202m, a spokesperson for the firm said this sum included an uplift for income from conditional fee arrangements. Actual revenue last year was £194m, meaning underlying growth in real terms of 2% to this year’s top line. The 2016/17 figure excludes income from HBJ Gateley, the firm with which Addleshaw merged on 1 June. The performance came at the end of a year which managing partner John Joyce described to Legal Business as ‘a rollercoaster ride’. ‘Nine months before the end of the year activity took a massive hit following the referendum,’ he added, referring to the results of the UK vote to quit the European Union on 23 June 2016. Over 70% of the firm’s income came from financial services, real estate, retail and consumer, energy and utilities, industrials, transport, digital, health and life sciences. The firm advised Lloyds Banking Group on the £1.9bn buyout of credit card provider MBNA from Bank of America, National Grid on the sale of its UK Gas Distribution Business with an enterprise value of approximately £13.8bn. It also acted on the £2.8bn refinancing of Clarion Group and the £3.4bn refinance of London & Quadrant Housing Trust on its merger with East Thames housing group – the Social Housing sectors largest ever deals. The firm also secured appointments at BT, Capita, the Department of Transport’s inaugural Rail panel, Diageo, Crown Commercial Services, Manchester Airport Group and Standard Life Investments Real Estate panel. The combination with HBJ will strengthen the firm’s operations in financial services and real estate, adding offices in Edinburgh, Glasgow and Aberdeen. 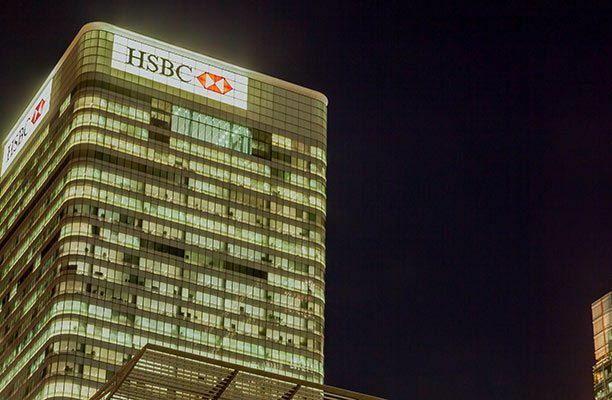 HSBC has appointed around ten firms to its UK legal banking panel. Addleshaw Goddard, Eversheds Sutherland and Simmons & Simmonswere among those which made the cut. CMS Cameron McKenna, Dentons and Pinsent Masons are also among the roster which was reduced in size. The UK review follows a global shake-up in December last year, in which existing panel members Allen & Overy, Clifford Chance (CC), Freshfields Bruckhaus Deringer and Linklaters were joined by US newcomer Davis Polk & Wardwell. The bank previously reviewed its panel in 2012, when it expanded its roster to include a group US firms including Cleary Gottlieb Steen & Hamilton, Latham & Watkins and Mayer Brown. HSBC’s in-house legal team changed significantly in 2017.The company’s head of legal for worldwide operations and deputy general counsel (GC) Richard Given left to become GC and company secretary at fintech startup 10x Banking. Internal associate general counsel Stephen Cooke replaced Given, who was in his role for almost six years. Hugh Pugsley has been GC at HSBC since 2015, after leaving Lloyds Banking Group. 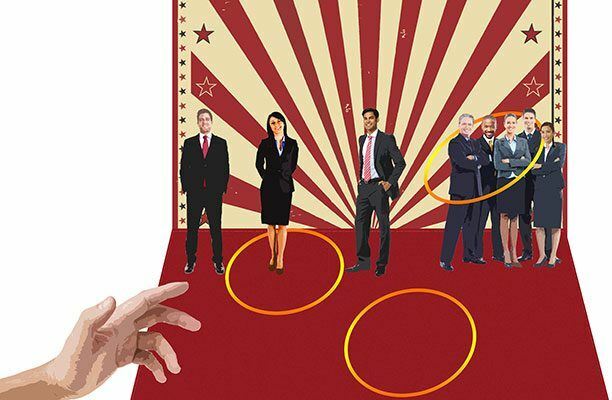 In May, in other banking panel reviews, Standard Chartered unveiled its completed global panel, with Magic Circle firms dominating the line-up. On the panel were Slaughter and May, A&O, Linklaters and CC, alongside Herbert Smith Freehills (HSF), Hogan Lovells, Baker McKenzie and Dentons. Deutsche Bank also completed its global panel this year, with all of the Magic Circle firms joined by HSF, Ashurst, Simmons & Simmons, Taylor Wessing and Hogan Lovells. A steady pace of lateral hires continued into the second half of 2017, with Squire Patton Boggs and Addleshaw Goddard both taking on partners in the UK, Taylor Wessing in France and Goodwin Procter in Boston. Addleshaws has hired experienced private equity partner Pete Wood from Pinsent Masons in Leeds. Wood advises clients in private equity and M&A across retail, financial services, manufacturing and consumer goods. Addleshaws mergers and acquisitions partner Garry Elliott said Wood’s experience and track record will ‘further enhance our team’. He described Wood’s hire as ‘testament to our ambition to remain as the number one Corporate team operating in the region’ and which would ‘bring further Private Equity experience and capability to our local and national teams’. Squire Patton Boggs also announced the appointment of partner Simon Jones to its Birmingham office. Jones is the former Eversheds Sutherland’s Leeds head of technology and global head of automotive, and was previously head of technology and sourcing at DLA Piper, also in Birmingham. Jones advises on a range of IT and outsourcing projects, with a particular focus on the impact of technology on the automotive and manufacturing sectors. Held ‘in high regard by his clients for his commerciality and technical expertise, Simon will be a great asset; we are excited to welcome him to the firm,’ James said. A rare loss for Latham & Watkins enhanced Taylor Wessing’s corporate capabilities in France. François Mary joins as a partner in the firm’s Paris office, after over 10 years at Latham. He specialises in corporate law, advising on mergers and acquisitions, private equity transactions, restructuring operations and minority investments. Meanwhile, Goodwin enhanced its real estate platform in Boston with partner Marc Lazar from Ropes & Gray, where he was co-head of the real estate investments and transactions group. Lazar is experienced in real estate finance and investments, representing institutional investors, hedge funds, real estate and other private equity funds as well as lenders and developers, throughout the capital stack and across all asset classes. ‘Marc’s arrival deepens the industry reach of our fund formation, transactional, portfolio and public company teams, said Minta Kay, partner and chair of Goodwin’s global real estate. His ‘strong technical skills and ability to execute multijurisdictional transactions for high-profile European clients will be extremely valuable to our group,’ said Samantha Lake Coghlan, partner and co-chair of Goodwin’s London office.